We typically hire children’s and student ministers to run programs for children and young people. In fact, this approach by the church may do more to decimate the home as a spiritual center than anything coming into the home on television or the Internet. The good news is – there is a revolution underway. More and more Christians are rising up and saying “No!” to this institution-centered model. 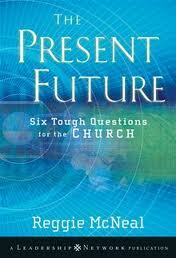 They are returning to the New Testament model of the home as “the center for spiritual formation”. Also coming in January: “The Family Blessing: Reclaiming the Home as the Center for Spiritual Training”. More information to come. After being a pastor in big church youth ministry for more than a decade, and being a part of a “house church” for more than a decade afterwards…..there is no comparison….his conclusions are accurate.